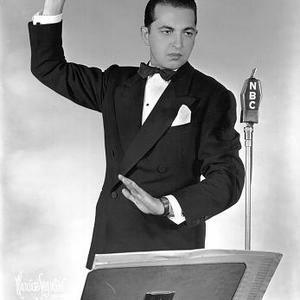 Percy Faith (April 7, 1908 ? February 9, 1976), was born in Toronto, Ontario, Canada. After 1940, he moved to Chicago, becoming a naturalized U.S. citizen in 1945. He died in Encino, California, and is iinterred in Hillside Memorial Park Cemetery, Culver City, California. Faith was a band-leader, orchestrator, and composer best known for his arrangements of standard tunes using lush string sections and female choruses. The latter sometimes sang, most often they just vocalized without words. Faith was a band-leader, orchestrator, and composer best known for his arrangements of standard tunes using lush string sections and female choruses. The latter sometimes sang, most often they just vocalized without words. Faith's live orchestra was a staple of the Canadian Broadcasting Corporation's live-music broadcasts from 1938 to 1940. After moving to the U.S., Faith made many recordings for Voice of America. After working briefly for Decca Records, he went to work for Mitch Miller at Columbia Records. There, he turned out dozens of albums and provided arrangements for many of the pop singers of the 1950s. The use of the female chorus really became a Percy Faith signature with his mid-late 1960's "Young Lovers" projects; it was also used in his final Holiday album, "Christmas Is," released in 1967. Faith's most famous and best-remembered recordings are "Delicado" (1952), "Moulin Rouge" (1953) and "Theme from A Summer Place" (1960).